I may be 30-something but I still think of September in terms of being the start of a new year. This is great for two reasons. Firstly, all those actual New Year’s resolutions I failed so badly on in January get a fresh lease of life. Secondly, stationery; September begins once I have raided Paperchase. This year I have taken the start of the school year very seriously and have put ‘learn new stuff’ to the top of my list of New New Year’s resolutions. Like many freelancers, I reason that as much of my time as possible should be dedicated to working for my clients. But recently I’ve been thinking that spending more time on my own self-development benefits them as much as it does me. I have always been a keen reader and given that I genuinely love my work, I enjoy keeping up with the latest editions of various PR, communications and fundraising magazines, blogs and websites. I also use quiet times, such as when I’m ploughing through the ironing, to listen to podcasts. As a member of the Chartered Institute of Public Relations (CIPR) I’m encouraged to commit to my own learning and development via their programme of Continuous Professional Development. The process is simple: you take part in learning activities run/provided by the CIPR (some activities offered by external companies count too) and log what you did, when, and importantly, what you learned. Each activity has a points value and you must achieve a minimum number of points each year. My budget for learning has to go a long way, but the Institute does offer lots of free and low-cost webinars, seminars and online learning alongside events you pay to attend. 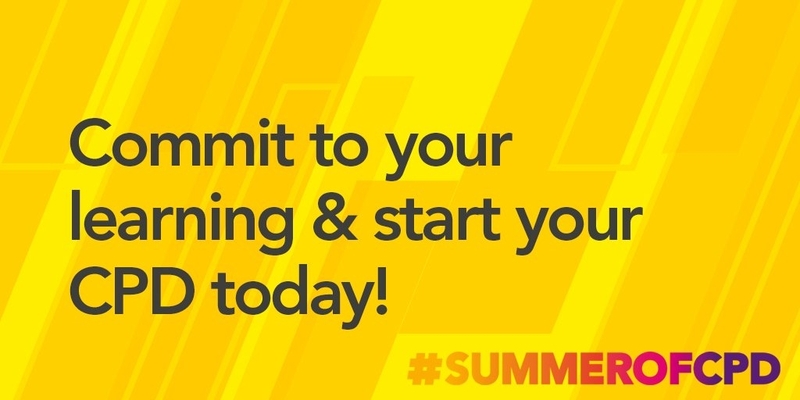 Like many members, I usually log my points late in the CPD year (which begins in March) but, spurred on by the #SummerofCPD campaign, I’m already halfway towards my total. This week, thanks to a chance discussion on Facebook, I took part in a full day of social media and SEO training. The conversation may have appeared out of the blue, but for some time I have been seeking content strategy inspiration and been keen to get deeper into analytics. So, when a member of the Freelance PR’s Facebook group (which I highly recommend) asked whether anyone would be interested in joining together for some advanced social media training, I jumped straight into the thread. She was working on the basis that we would get a better price as a group (rather than sourcing training individually) and could possibly even design the course to suit us. Enter stage left, Paul Sutton, who put together a bespoke day of hands-on learning which completely fitted what I had been looking for. But it was also about spending a day with, and learning from, other freelancers. My workload means I spend a fair amount of time on my own so I really value opportunities like this. Continuing the theme of getting out from behind my desk and mingling with actual human beings, next month I’m going to spend a day listening to people sharing the stories of their lives. Being The Story is a must for freelancers who, like me work with charities and non-profits. Created by Jude Habib of Sound Delivery (who I will fan-girl about until the end of days), the premise is straightforward; people with a range of lived experiences (from homelessness to life-limiting conditions) stand on a stage and talk about their lives. It’s such a simple idea but the impact is huge. 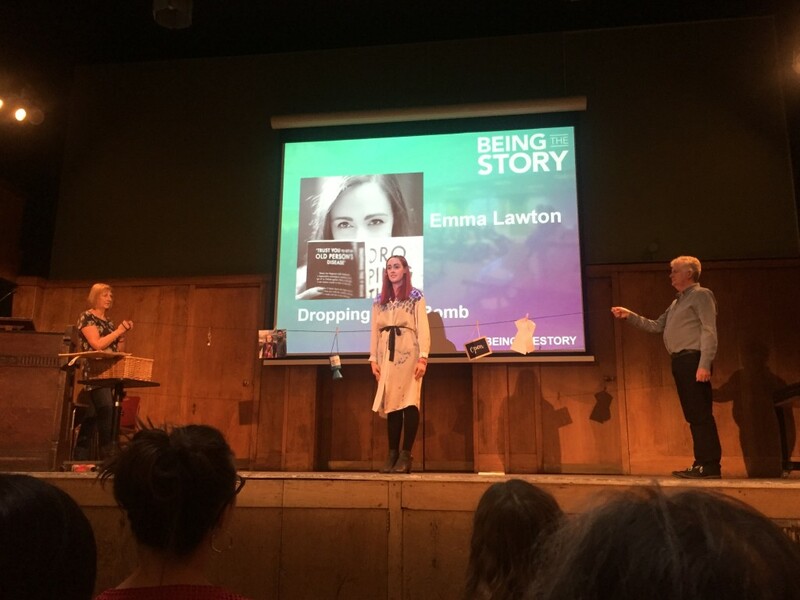 Being The Story 2016 was the most inspiring event I had attended all year. I wrote a blog about it afterwards, which you can read here, but having had longer to reflect I can see how the event has really changed my approach to storytelling and case studies. In terms of my personal development, is it cheating to repeat an experience? Should I look for something new to enhance my storytelling skills? If there was another event that was anything like Being The Story, then perhaps, but I don’t think such a thing exists.